The two-light semi-flush convertible fixture from the Arden collection offers a comfortable silhouette that is both rustic and modern. A substantial frame is crafted from overscale tubing to heighten the effect. The summer linen shades with etched glass diffuser coordinates with many other Progress Lighting styles like Cherish. Two-light semi-flush/convertible from Gather possesses a smart simplicity to complement today's home. Brushed Nickel metal arms descend downwards and curve sharply to prop white etched glass shades. Etched glass add distinction and provide pleasing illumination to your room. 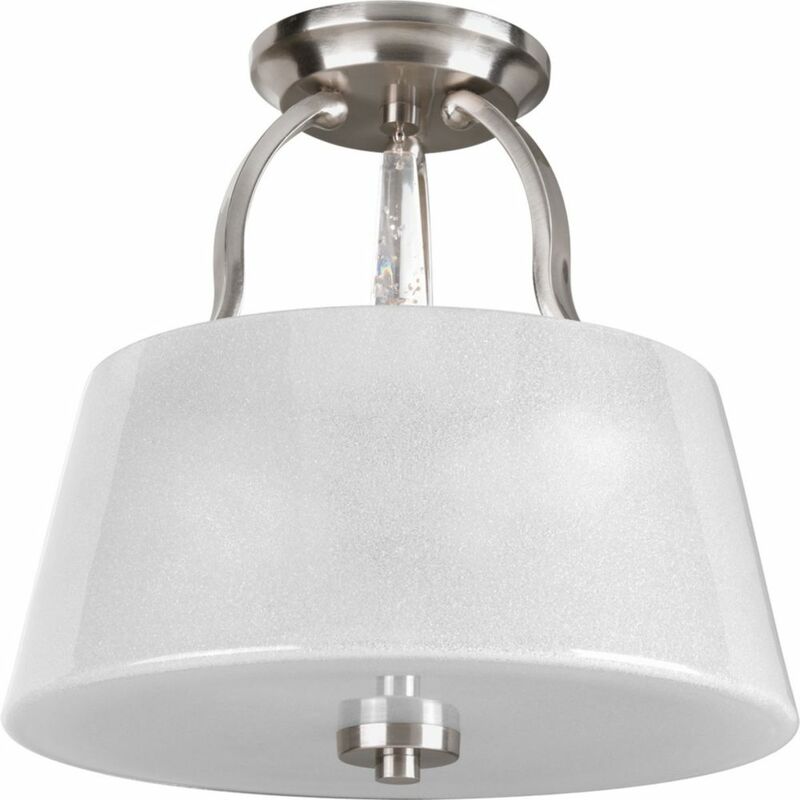 Coordinating fixtures from this collection let you decorate an entire home with confidence and style. With Danish modern sensibilities, the Janos Collection features simply curved arms in a striking metallic finish. Etched, trumpet shaped glass shades provide visual interest without interrupting the clean lines of the fixture. Create the sophisticated feel of modern, urban living in your home - no matter where you live. Dazzle Collection 3-Light Brushed Nickel Semi-Flushmount The Dazzle collection is sure to add some wow factor to your home. Dazzling glass features a gleaming polished exterior and a interior finish composed of fused glass beads to provide diffusion and sparkle. A jewel-like, faux rock crystal adds even more panache for an elegant and well dressed effect to your home.